The Howling WolfHeart: Good Morning! Good Morning Lovelies! 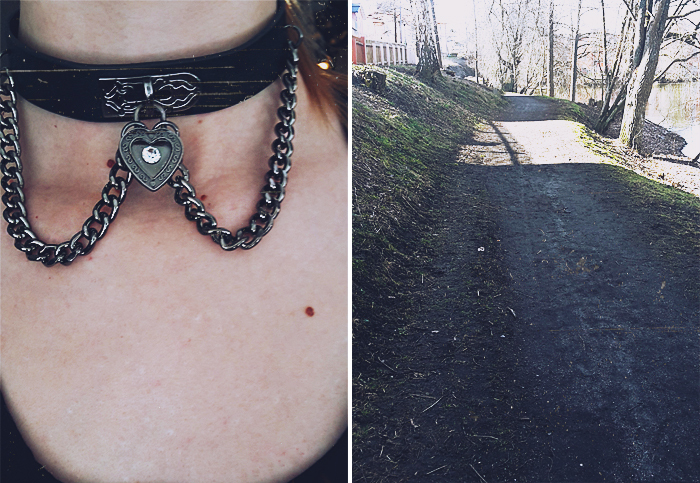 Yesterday I skipped around in one of my favorite chokers. Walked to and from work (woot even if my body hated me for it afterwards). Stopped by hubby for a quick visit during my lunch too :) When I got home it was mostly relaxing and collecting new energy for today. I'm going to my parents for dinner after I'm done at the office today. Hoping the weather will be some what warm but not keeping my hopes up...I do after all live in Sweden. All in all I'm doing good. Yes my tummy is a little upset and my energy is drained fast but it feels good to be back to doing something during the days.